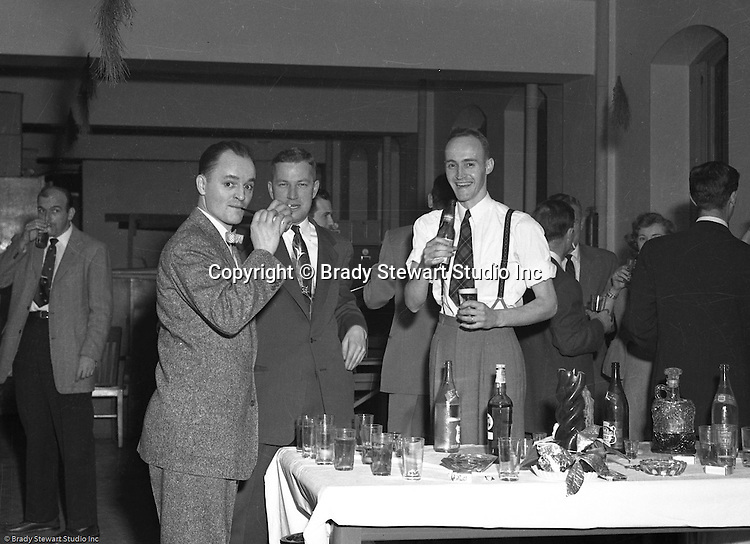 Pittsburgh PA: Brady Stewart Studio annual Christmas party for customers - 1952. Brady Stewart Jr (left) talking with a client from Ketchum McLeod and Grove and Bob Mitchell, an artist that rented space at 725 Liberty Avenue. Pittsburgh PA: Brady Stewart Studio annual Christmas party for customers - 1952. Employees of local advertising agencies and art studios along with corporate clients attended.